Family game nights are a great way to spend time together as a family. We love to play together as a family. Board games are so much different than playing video games and they bring families together laughing and talking to each other. We recently had the opportunity to review two games from the USAopoly game line. What a great time we have had. We had the opportunity to try Wonky: The Crazy Cubes Card Game and Tapple: Fast Word Fun for Everyone. 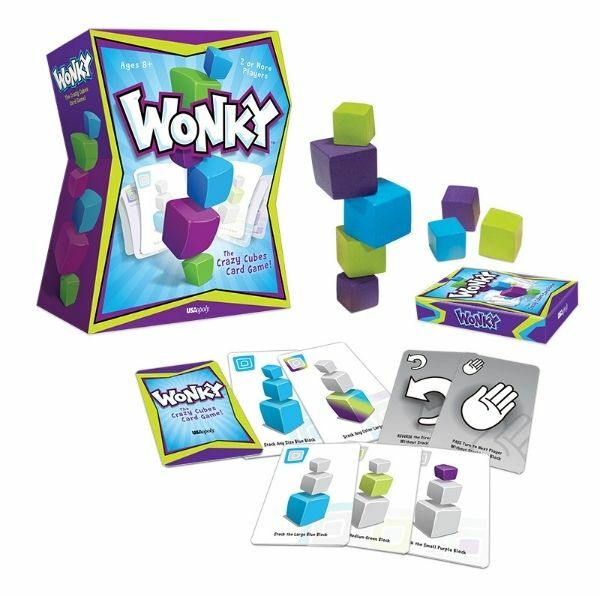 Wonky: The Crazy Cubes Card Game ($19.95) was created for ages 8 and up. 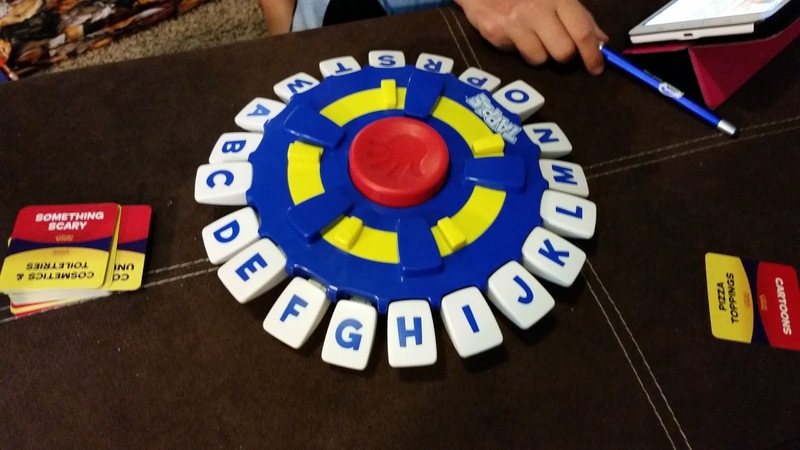 For play with 2 or more players, this 2015 Best Family Game Fun Winner can be played fast paced or slow and steady depending on who you are playing with. The goal of this game is to build a tower that remains standing with the odd-shaped blocks. The playing cards you are dealt makes this a real game of chance, will you have to balance a large block on top of a small block. You can throw off your partner with a Reverse, Pass or Draw card. The first person to get rid of all your cards without toppling over the tower wins. Each Wonky: The Crazy Cubes Card Game includes 9 colorful wooden blocks, deck of command cards and a cloth carrying case. 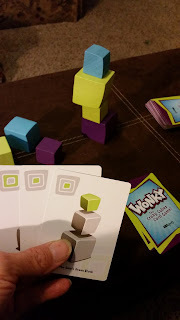 Wonky: The Crazy Cubes Card Game has been very easy for us to learn how to play. Even Caty who cannot read yet has easily been able to catch on to playing. We love to pull this out while watching TV together in the evening. It also has been great to use about half-way through our schoolwork when attention spans are getting very low. 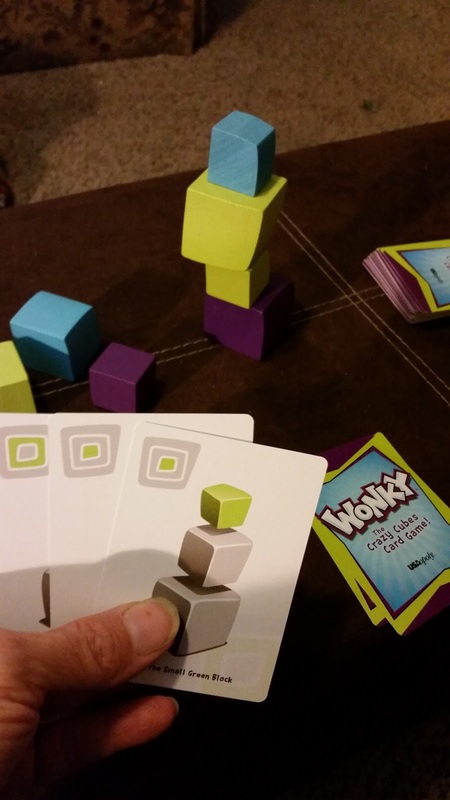 Wonky: The Crazy Cubes Card Game is a great refresher, let's wake up and laugh game. The games usually last very few minutes, so we can get through a couple games and then get back on track. The other Award-winning game from USAopoly that we had the opportunity to review was Tapple:Fast Word Fun for Everyone. 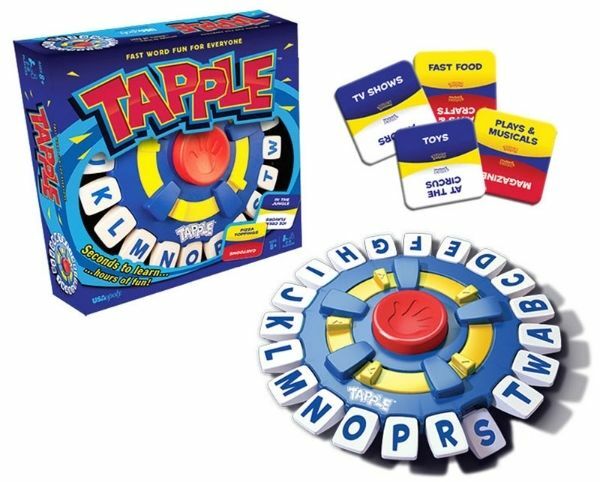 Tapple: Fast Word Fun for Everyone ($19.95) is a fast paced word game for ages 8 and up. You can play with 2 to 8 players. No spelling is required to play. Players pick a category from the cards provided. Tap the timer and say a word that fits with the category and tap the first letter of the word you say. You have 10 seconds to do this in or you are out of the game. Once you say your word, pass the Tapple game to the next person and keep playing until someone passes. Tapple: Fast Word Fun for Everyone has provided a lot of laughs as we try to force our brains to work. This has been a great way to start off a few school days. The trouble is we never really want to stop. One of my favorite things about Tapple: Fast Word Fun for Everyone is the easy storage. Instead of me worrying about the category cards falling out of the box if it opens on the shelf, there is a small compartment on the bottom of the game board. 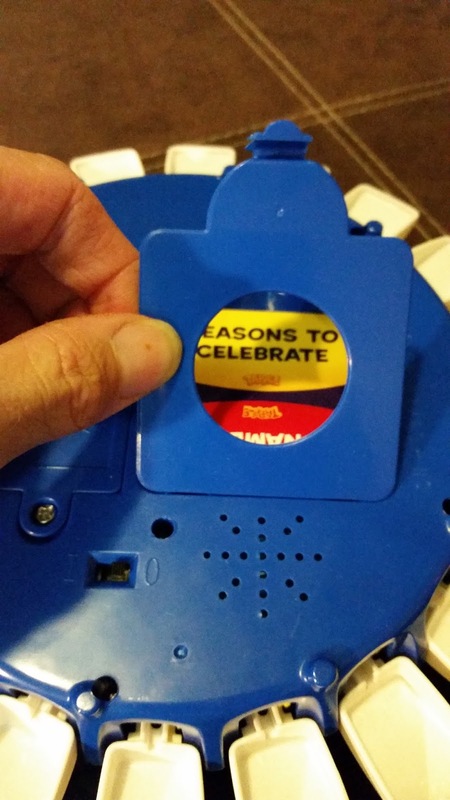 There is also an off/on switch so that the batteries are not worn down if the timer button is accidentally pushed while being stored. Category cards are also written on two different levels. So there are cards that are easier than others. Yes that's right people....this game is for more than just kids. You can play Tapple: Fast Word Fun for Everyone if you ever get to have other adult friends over!!! I know your friends are probably tired of playing kids games like we are. Tapple: Fast Word Fun for Everyone has been such a fun game, that I have found Lydia playing it by herself trying to beat her previous time. She said she was practicing to take everyone one. You can see her in the picture above with her tablet. She was doing research so she was better prepared to race. You could easily make your own cards to go along with a unit study, such as a topic of Explorers or other History studies. Tapple could easily be adapted into your classroom to make studies even more fun. USAopoly offers a wide variety of games and puzzles for all ages. The Schoolhouse Review Crew had the opportunity to try out both these games. You can see how they used both Tapple: Fast Word Fun for Everyone and Wonky: The Crazy Cubes Card Game in their homes by visiting the Schoolhouse Review Crew blog link below.